Maximum $100.00 – The retreat cost is $50. If you're unable to pay this amount, please offer what you can. 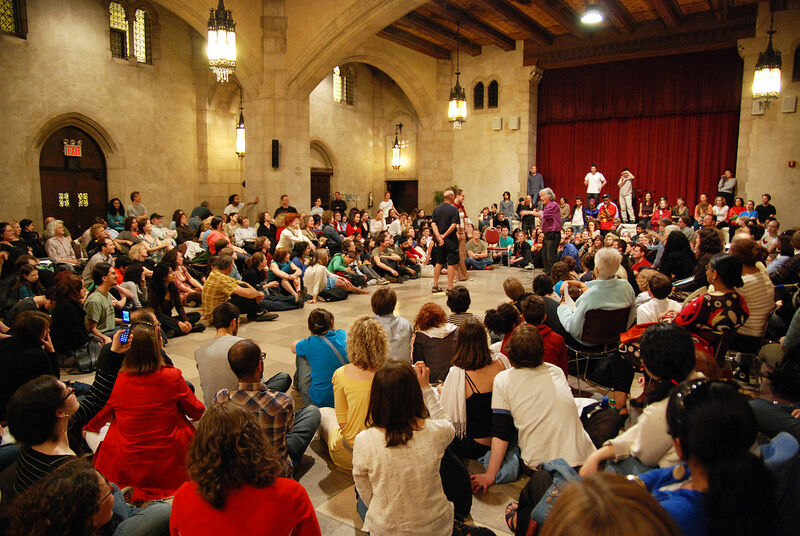 Join us as the Zen Center of NYC presents a workshop featuring Theatre of the Oppressed! Theatrical problem-solving merges with transformative action with these interactive plays inspired by real‐life struggles. This two-hour interactive workshop engages the core exercises from the arsenal of Theatre of the Oppressed and participation in a forum theatre demonstration. These theatre games encourage “de-mechanization” of the body and the mind: when we are stuck in patterns of action and thought that we have been taught by society, or into which we are forced without choice, we cannot freely be ourselves, secure our human rights, follow our own dreams, and be true leaders in our communities. Connect the tool of Theatre of the Oppressed to human rights and oppression as it affects your community through dialogue and brainstorming. Theatre of the Oppressed NYC (TONYC) partners with community members at local organizations to form theatre troupes. These troupes devise and perform plays based on their challenges confronting economic inequality, racism, and other social, health and human rights injustices. After each performance, actors and audiences engage in theatrical brainstorming – called Forum Theatre – with the aim of catalyzing creative change on the individual, community, and political levels. See more of our work at www.tonyc.nyc.